Silver plated scroll bali focal bead and end caps in a surround of 6 and 8mm bright white swarovski crystal faux pearls. Silver plated spacer bead accent for a dramatic look! 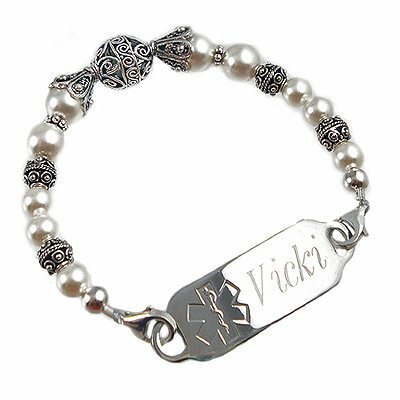 Price Includes beaded strand and one engraved Deluxe Stainless Steel Medical ID tag.